This is for the original shipment of your dresses to Encore for registration with our company. 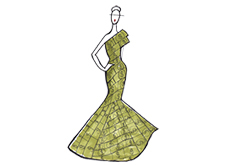 It is our pleasure to help turn your dresses into CASH! Please read this section if you are trying-on or renting a dress from our company. If you are purchasing a dress from the Encore inventory, please read this section. If you have requested the return shipment of your dress, please read this section. We appreciate your generous donation to our charity program. The young dancers participating in this program will be forever grateful. Please read this section on how to ship your donation. If you would like a professional appraisal of your ballroom dress, please click here for shipping information.